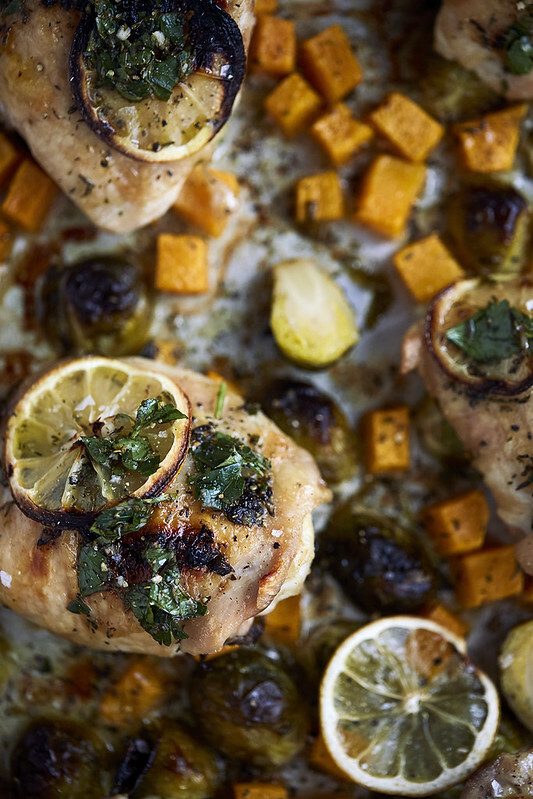 This Sheet Pan Roast Chicken and Veggies Dinner is extremely simple to toss together, it’s ready in just about 30 minutes and you can easily adjust the recipe’s ingredients to your personal favorites. Swap out the veggies, try a different herb and spice blend. 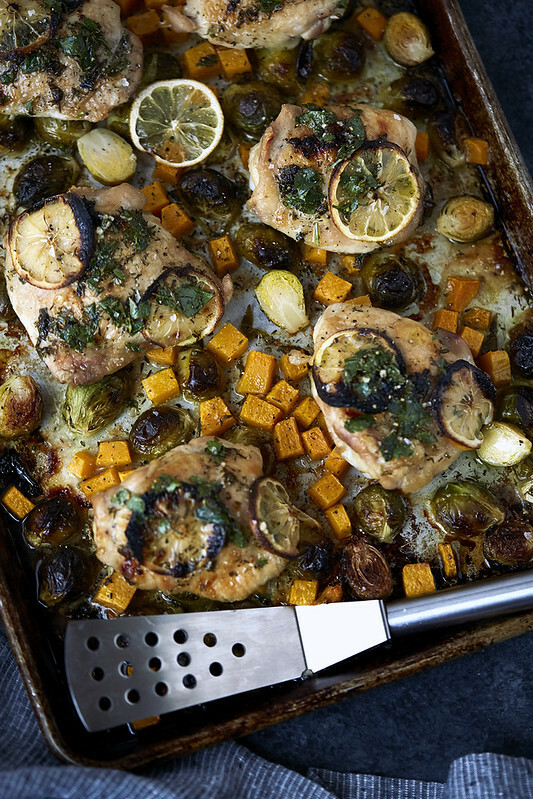 Sheet pan dinners are the ultimate in one-pan meals. These versatile meals are easy to customize for even the pickiest of eaters. 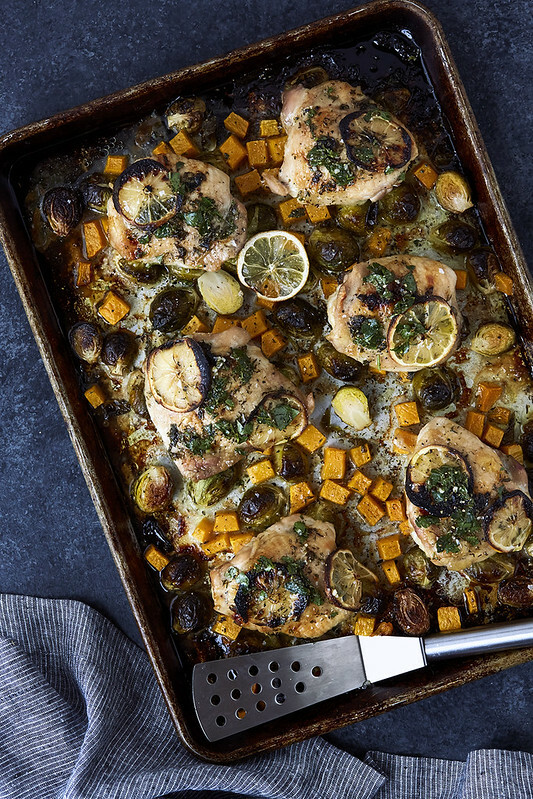 With a trusty sheet pan, just a few pantry staples and your favorite in season produce in just about 30 minutes of cooking, you can have a hearty, tasty dinner on the table any night of the week. 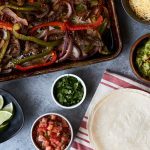 This recipe is highly versatile, you change out the veggies depending on the season and your family’s preferences. Here we went with Brussels sprouts and butternut squash, two of our personal favorites – but you can also use cabbage, green beans, squash, peppers, onions or shallots, broccoli, cauliflower, potatoes (white or sweet), zucchini, carrots, etc. Go with the best the season has to offer and of course, your family’s favorites. 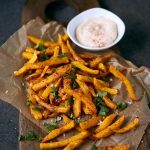 The simple herb blend brings a lemon garlic flavor, but after you’ve made this recipe once, I hope you will feel inspired to get creative here too. Try a whole grain mustard blended in or maybe try lime juice instead of lemon and mix in some chili powder. Swap cilantro in for the parsley. Balsamic would be a nice flavor. Try rosemary or sage instead of parsley. If you have a whole chicken, break it down into parts, 2 split breasts cut in half crosswise, 2 drumsticks, and 2 thighs trimmed, from a small bird, these could easily be swapped in for the chicken thighs. As usual, I am giving you guys the base recipe, a formula and a foundation and I am giving you the permission to get wild and have fun. 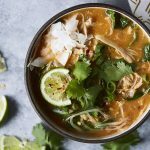 I hope that these types of recipes give you the space to feel inspired and creative and even more, I hope you feel empowered to be in the kitchen. cabbage, green beans, squash, peppers, onions or shallots, broccoli, cauliflower, potatoes (white or sweet), zucchini, carrots, etc. Half the brussels sprouts and dice the butternut squash (or prep any veggies you are using). Set aside. In a small bowl mix together the olive oil, garlic, lemon juice and salt and pepper. Give it a good mix. 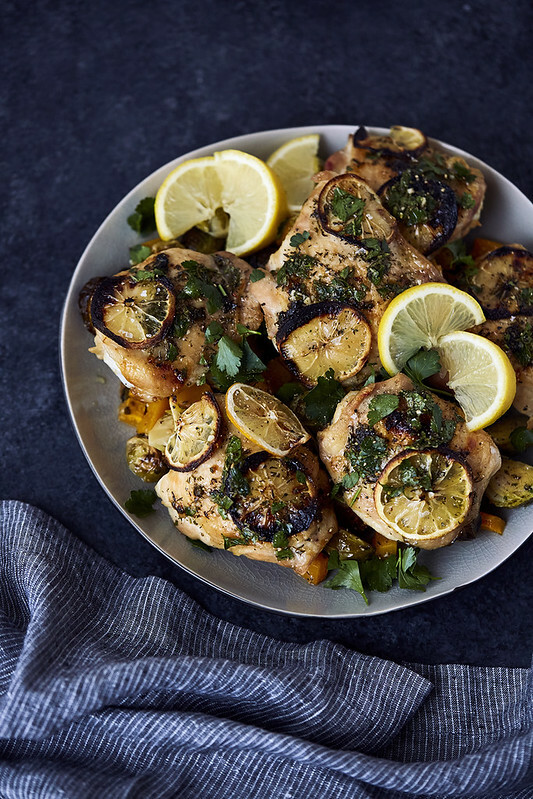 In a large mixing bowl add the chicken and veggies, along with half of the lemon, garlic herb blend. Set aside the remaining. Toss together well and pour onto a baking sheet. Arrange the chicken on top with skin side up, place lemon slices on top, if you'd like. Bake on center rack of oven chicken skin is crisped and lightly browned and vegetables are tender. About 25-30 minutes. You want to check that the largest piece of chicken reaches an internal temperature of 165º F*. If you'd like, you can then put the pan under the broiler for for 2-3 minutes, or until caramelized and slightly charred. If at any point during the cooking anything begins to brown more than you'd like, you can always tent loosely with aluminum foil. 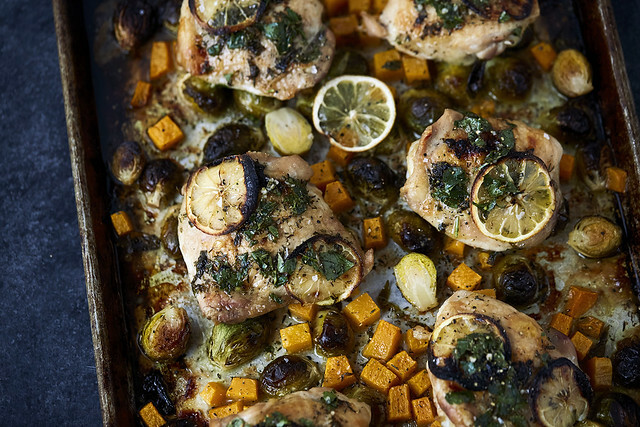 Serve right from the sheet pan or transfer to a serving dish. Top with the remaining lemon garlic herb blend. Enjoy. Note: The cooking time can vary based on the size of your chicken thighs and how large the vegetables are. 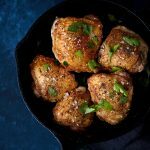 ever try with boneless skinless chicken breasts? ?